The official and “main” Disney app is advertised to be “everything you love and expect from Disney in one FREE custom application.” Be prepared that this is currently a 37.3MB download. While this sounds like a large download, it used to be quite a bit larger in a previous version. 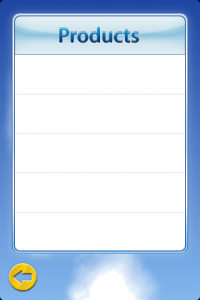 Launching the app is fairly animated, with an obvious scroll wheel of menu options spinning before you. 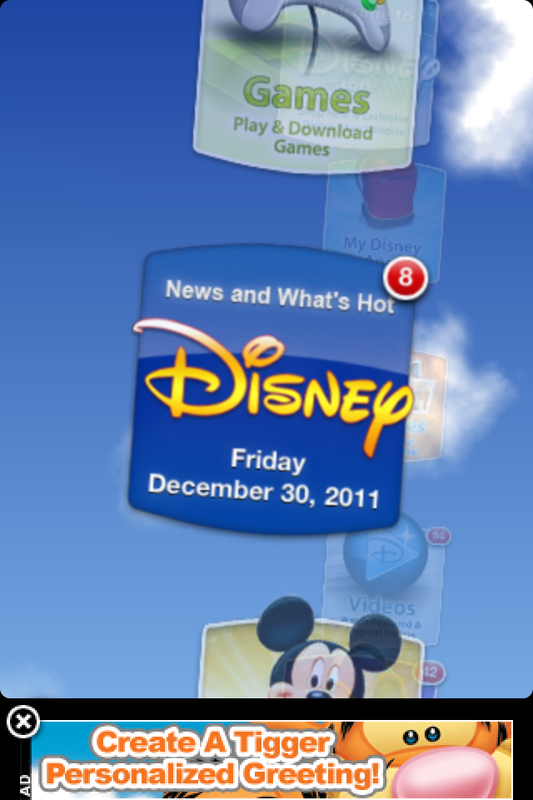 The main menu item is “News and What’s Hot” with today’s date listed. Selecting this option takes you to a list of “news” items. Looking at the “news” seems at first to be fairly current. 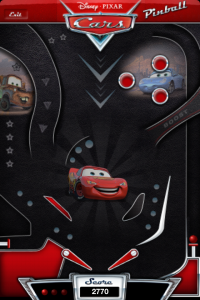 Cars 2 was released on Blu-Ray not too long ago, and the Muppets movie came out fairly recently. However, why is Tangled under Movie Releases? 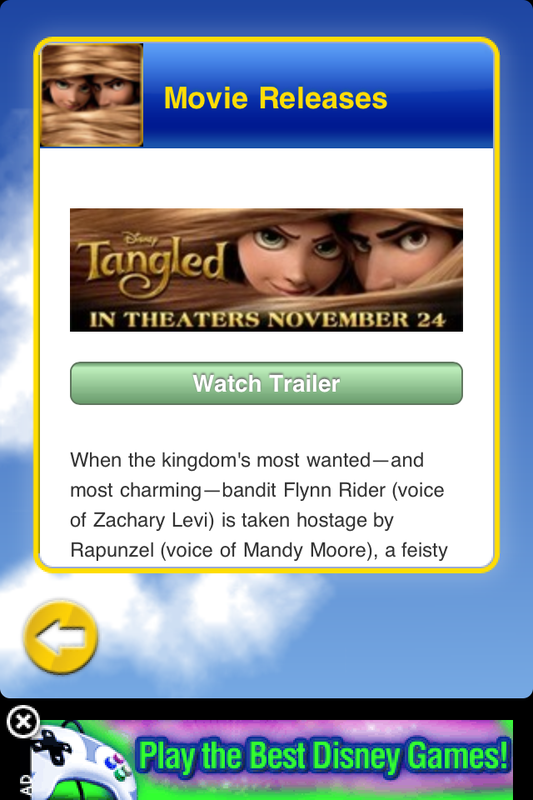 Selecting the Movie Releases option takes us to a button to watch the Tangled trailer and a banner showing it is being released on November 24th!? 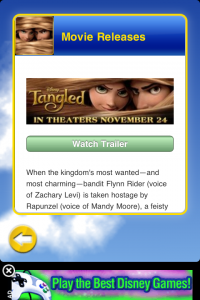 Tangled was released on November 24th, 2010!? The screenshots are from December 2011! Scrolling down to the other releases, it lists Secretariat and Tron : Legacy. They clearly have a huge gap here that needs to be fixed. This section is over a YEAR old. 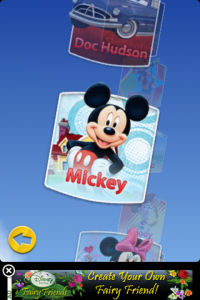 Going back to the main menu, we’ll select the next category of “Characters”. 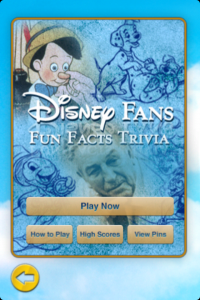 You are presented with a variety of different Disney characters, including Mickey, Minnie, Tigger, Woody, Donald Duck, Goofy, Jack Skellington, and Doc Hudson. 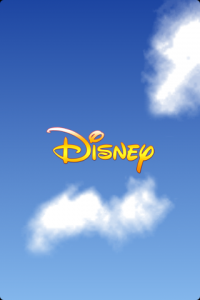 We’ll choose the mouse that started it all, Mickey Mouse! 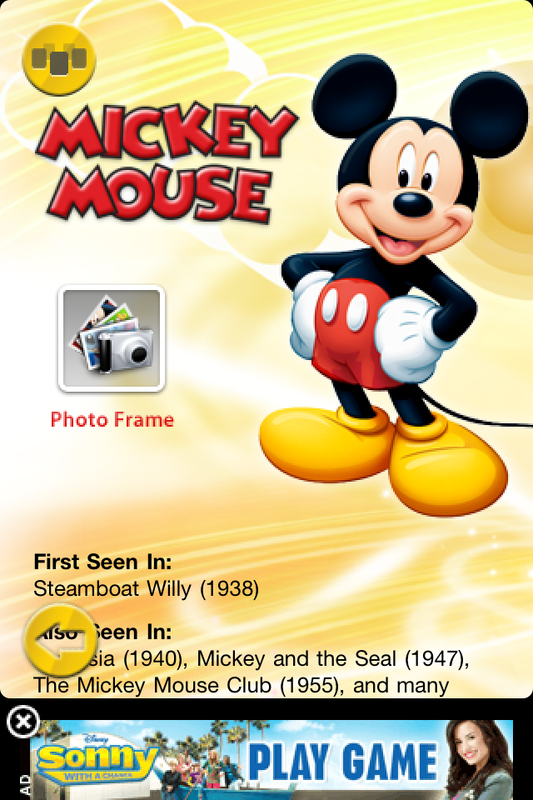 We are now presented with a list of information and trivia about Mickey Mouse, as well as a button labeled “Photo Frame”. Select the Photo Frame option and you are asked to tap the screen to add a photo, which can either be a new photo or from the library on your phone. Once the photo is chosen, you can adjust and move into the appropriate position. 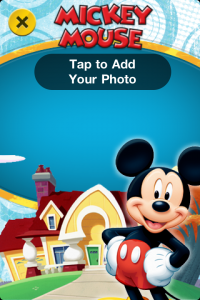 The button in the top right corner will allow you to email the photo to a friend or save the new picture to your phone’s camera roll. Some of the characters are slightly different, including some audio bytes. 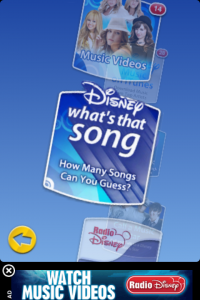 Heading back to the main menu, we’ll select “Music”. 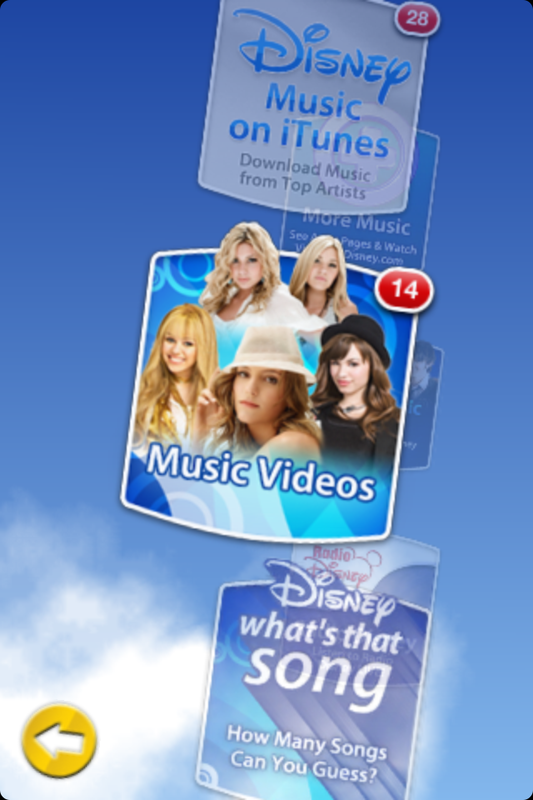 The Music section has Music Videos, Music on iTunes, Call a Music Star, Radio Disney, and What’s that Song. 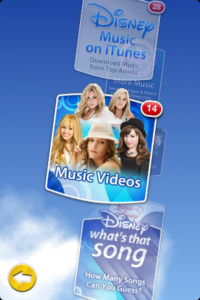 The music videos seemed pretty dated to me, and the iTunes section is obviously an up-sell for more Disney product. 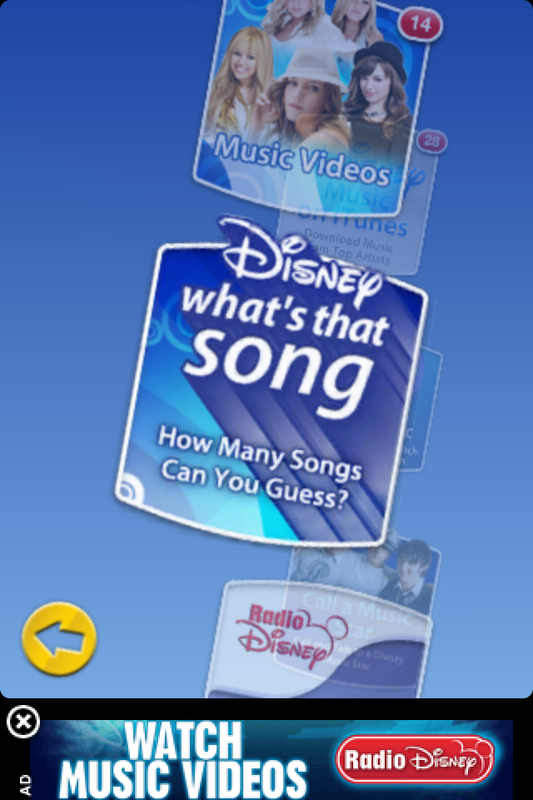 The What’s that Song is a game where they play a song, give you four choices, and you get points for how fast you choose the answer. 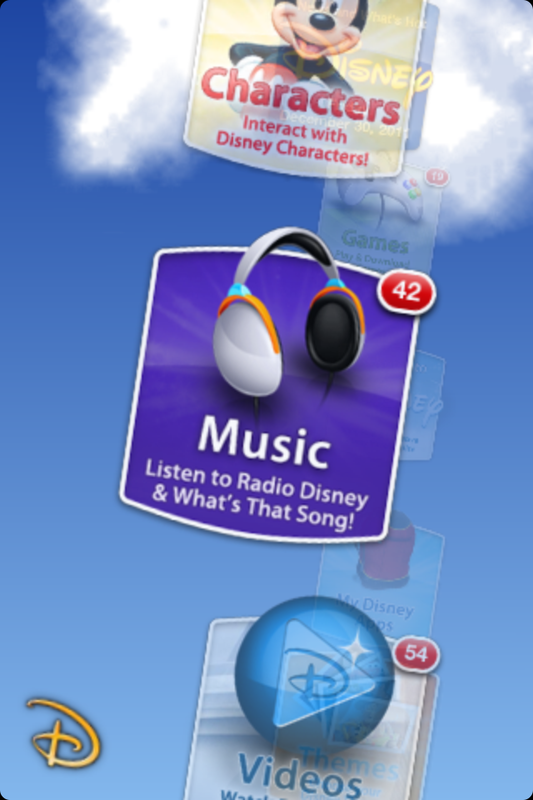 Conveniently, there is a “buy the song” button at the bottom of each song, in case you feel compelled to go buy it. Back to the main menu again, we’ll head to the “Videos” section. 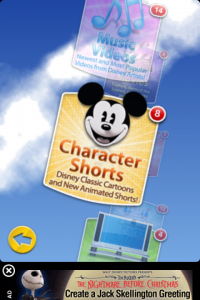 IN the Videos section, we find Character Shorts, TV Shows, Parks & Travel, Movies, and Music Videos. 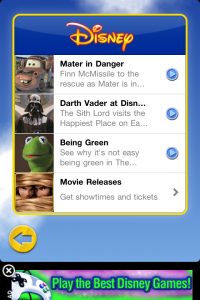 Each section has a handful of selections which will stream from the web to your device. 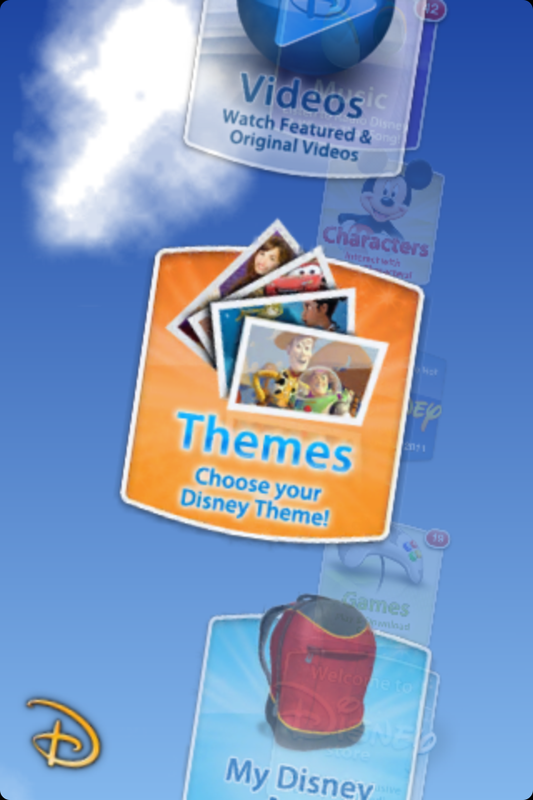 We’ll return to the main menu and select “Themes”. Under the themes section, you can select from Default, Cars, Fairies, Princess and the Frog, Sonny with a Chance, and Toy Story. 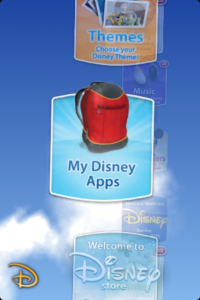 The theme selection impacts the Disney app borders and also the background, depending on the selection. 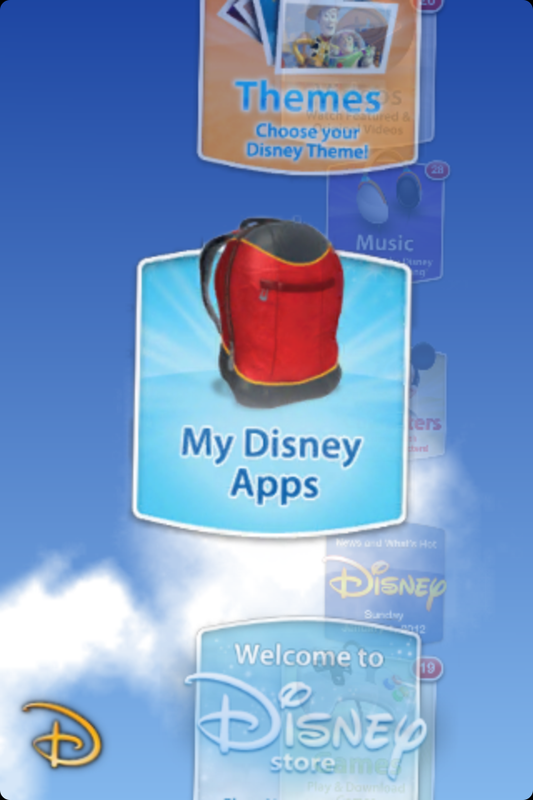 The next section on the main menu is “My Disney Apps”. 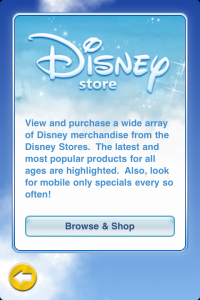 Presumably this is supposed to list all the Disney apps I have installed on my device, and provide a quick link to play the game. 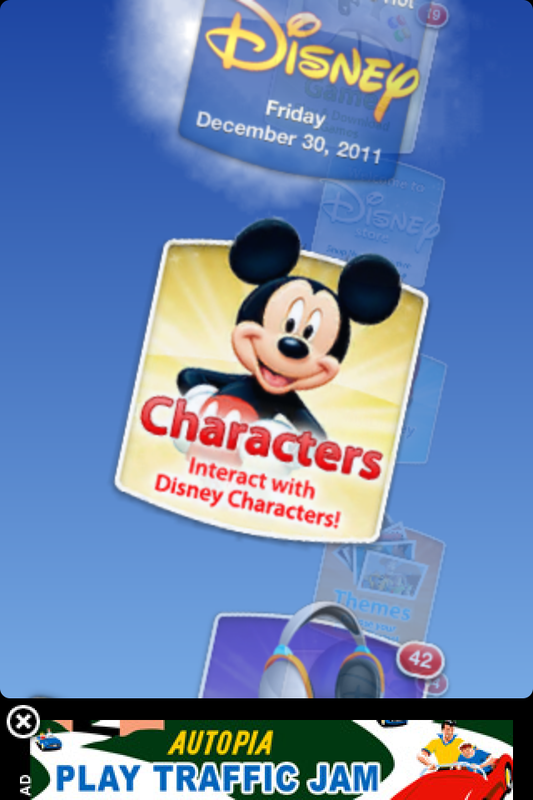 However, the app is only listing 2 of 8+ apps installed, and has broken icons at that. 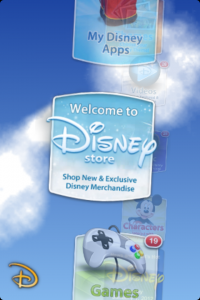 Going back to the main menu, we’ll select the “Disney Store”. Trying to follow through this section, it appears to be broken. It is likely that this stopped working once the Disney Store released their own app. 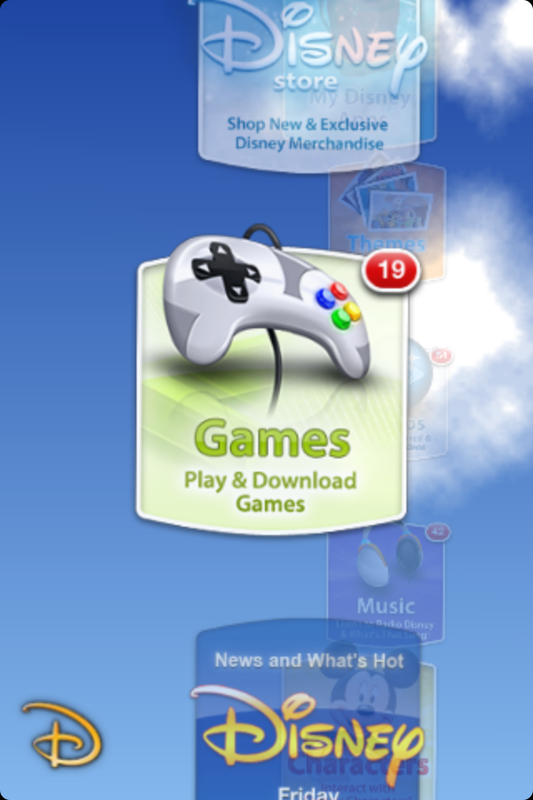 We have now arrived at the “Games” section of the app. Within the Games section, there are Sonny with a Chance “Stage Time”, Wizards of Waverly Place “Magical Match”, Disney Fans Fun Facts Trivia, How Big of a Disney Fan Are You, Mickey’s Personality Meter, Rock the Spotlight Style Quiz, Tigger Bounc, Cars Pinball, and Jonas Hallway Hijinks. That’s a lot of different games! 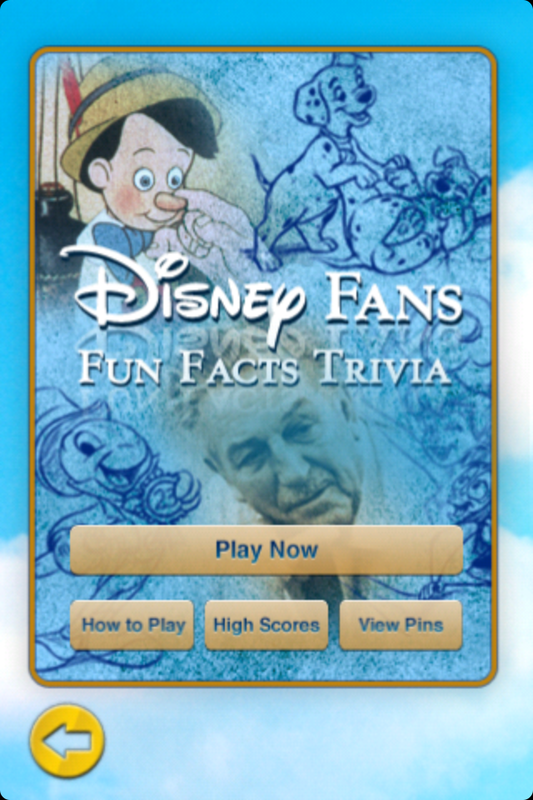 The first one that caught my attention was “Disney Fans Fun Facts Trivia”. This game is exactly what you’d expect. 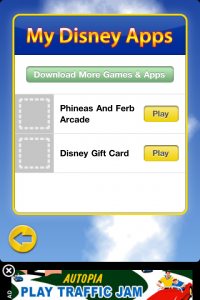 There are random questions from a category you choose, with multiple possible answers to choose from. You acquire points as you go, until you miss too many questions. 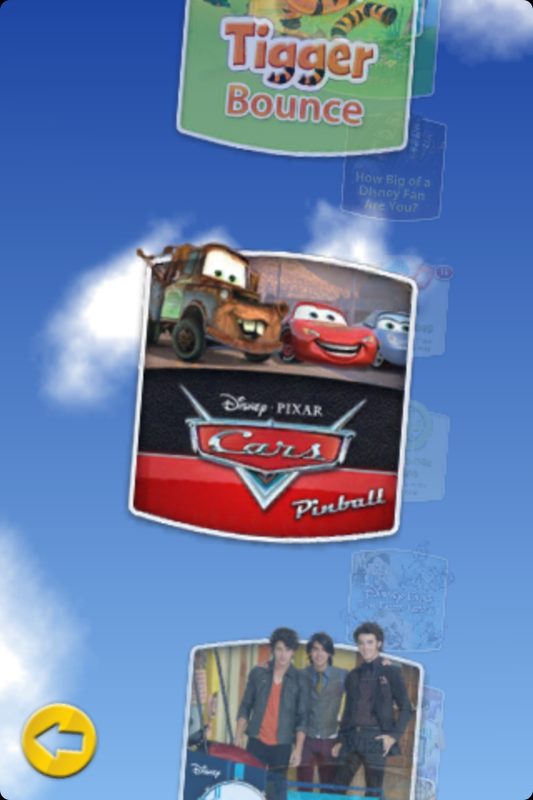 The other game that caught my attention was the Disney-Pixar Cars Pinball. 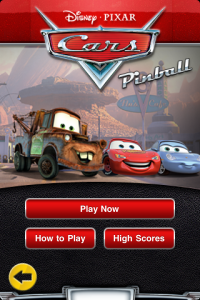 It is a fairly simple pinball emulation, but a great way to relax and kill some time. According to iTunes, the last time that this app was updated was Nov 11, 2010, and it certainly shows. I’d expect more of the content to be pulled remotely and update within the app. There are several pieces of the app which are broken, and it is quite jarring. 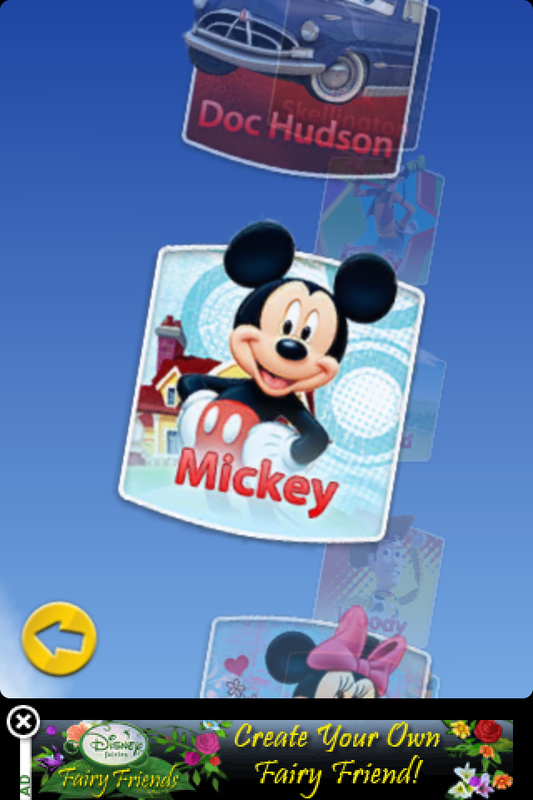 I am giving it as many stars as I am, due to the provided games and character picture frames. The more timeless aspects of the app are pretty decent, but they seriously need to give this app a refresh. The Disney App is everything you love and expect from Disney in one FREE custom application. 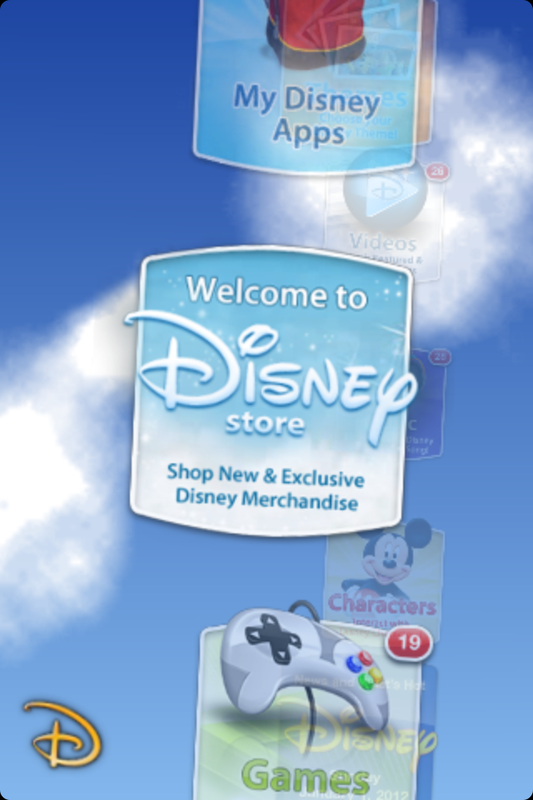 At the touch of a finger — find all your favorite Disney characters, play custom games, watch video, and listen to music. 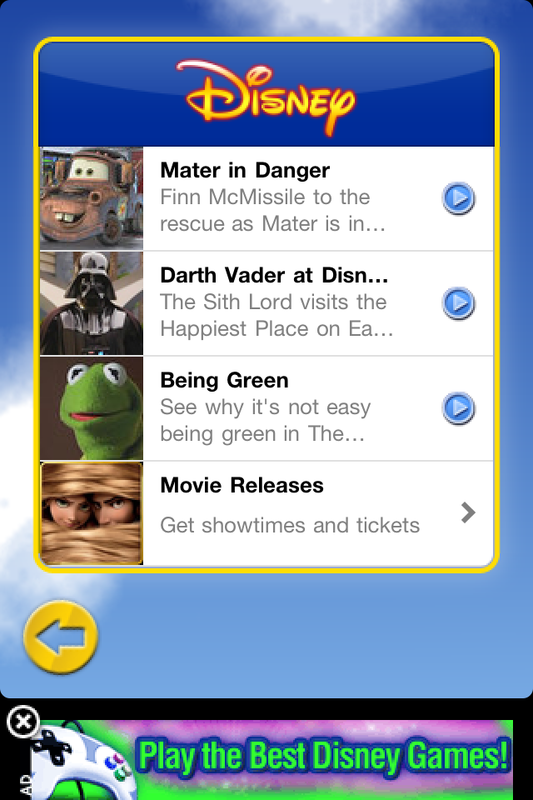 You can also get the latest news on all things Disney, buy movie tickets, and customize the App with exclusive character themes. 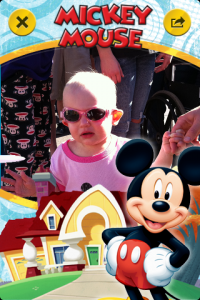 The Disney App also has a bit of magic built in! 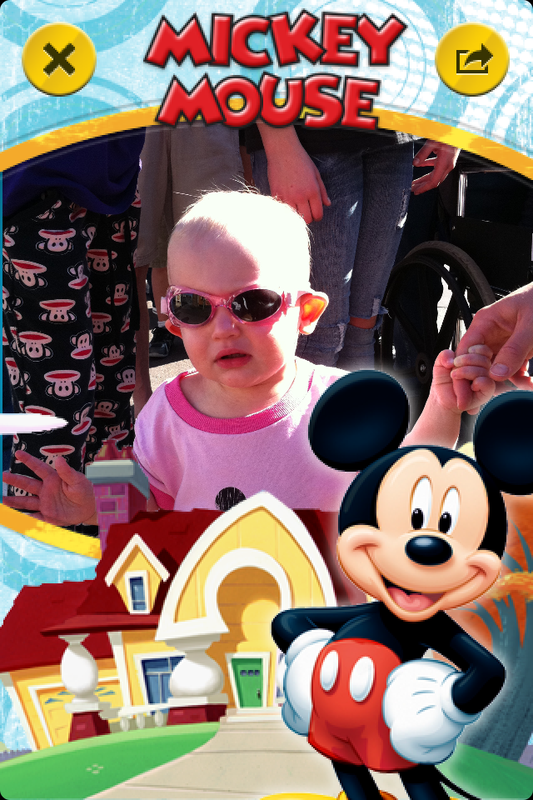 This is the definitive Disney destination for your iPod touch and iPhone. 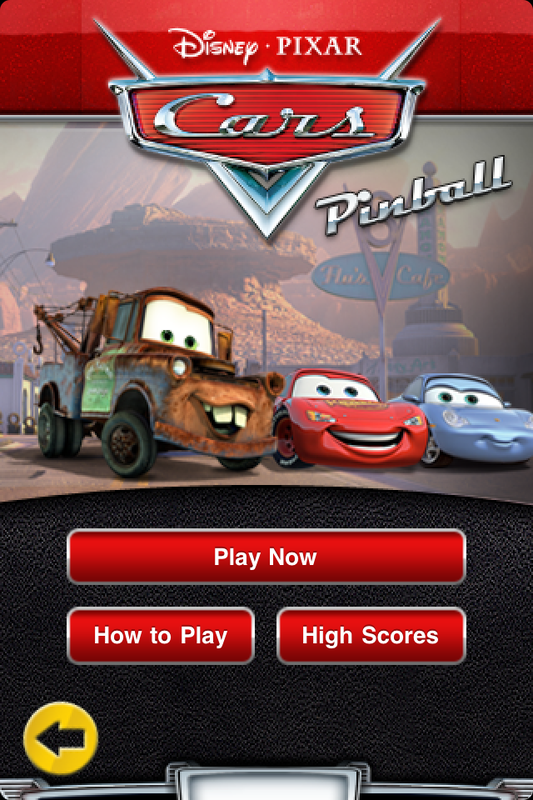 My four old really enjoys this app; however I was able to download on my iPad 1, but unable to download it to any other iPad. Is there a reason for this, please advise! If it installed on iPad 1, it should work on the iPad 2. Usually things are not backward compatible, but are forward compatible. 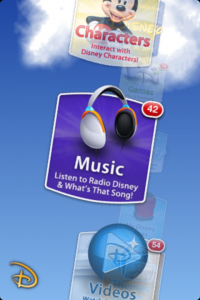 You may want to try reinstalling the app or check your iTunes configuration. I have bee using this app for a year. 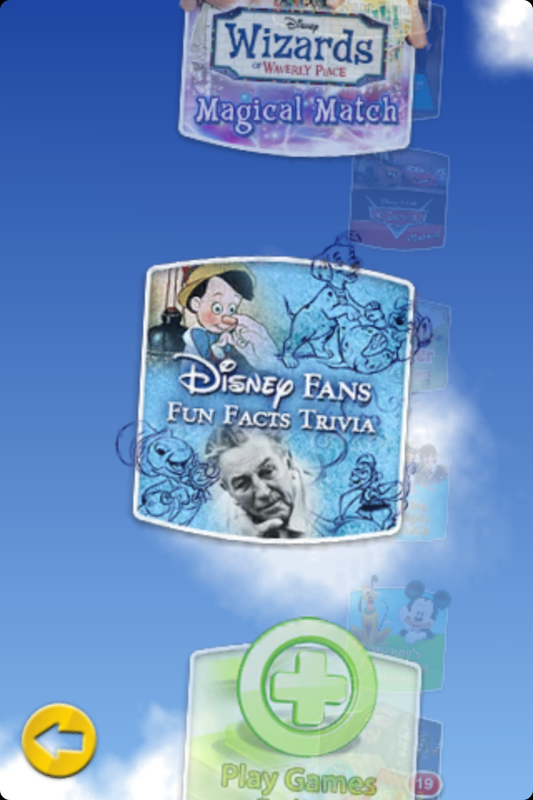 A few weeks back tried using the Disney Fans Fun Facts Trivia game and can’t get past the error message ” Error loading content. Unable to download story feed from we site. (Error code 5)” message. 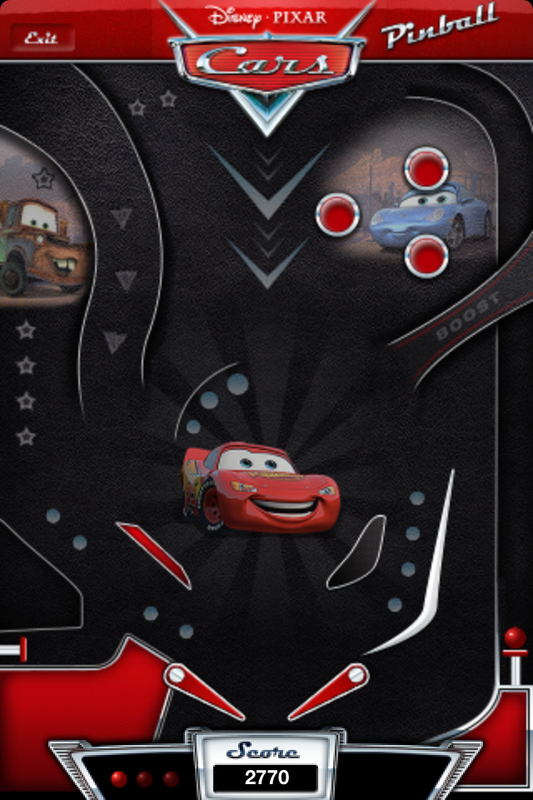 Tried reloading app…no help. Anyone else had this happen? Loved and miss the game. I am having the same problem. Love this app, but I am getting that Error code 5 too. 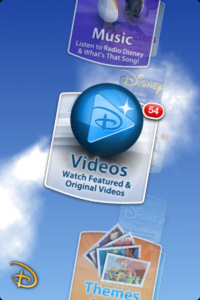 Anyone know how to fix this?